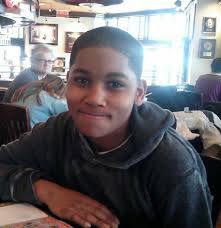 Yesterday, it was reported that the grand jury examining the shooting of 12 year old Tamir Rice chose not to indict the officer who shot the boy. There is a clear pattern: Michael Brown, Eric Garner, Tamir Rice, Freddie Gray, Brandon Tate-Brown, Sandra Bland and many more. Unarmed African Americans killed by police officers whose killers are not indicted. What is wrong with this picture? I teach a course on Race and Ethnic Relations and the definition we use for institutional racism is as follows: A system in which public policies, institutional practices, cultural representations, and other norms work in various, often reinforcing ways to perpetuate racial group inequity. I stress with my students that the way to identify institutional racism is not in the intent of the actors involved but rather in the outcomes or results of their actions. Do they indicate a pattern of outcomes that reveal racism or discrimination against a particular group of people? Had the victims been white would the system be so quick to exonerate the police officers involved from their murderous actions? I was asked recently if I thought that overall life for people of color had improved since the Civil Rights era. My answer was simply “look at the evidence.” We are as segregated a society as we were in the 1960’s. Schools that have a majority of students of color are across the board under-resourced and low performing. Jails are disproportionately populated by people of color. As Michelle Alexander in The New Jim Crow and Bryan Stevenson in Just Mercy have clearly shown people of color are given harsher sentences for the same crimes committed by whites. Look at what has happened to the law enforcement officers who killed Tamir Rice and the others. Look at how Muslims are being blamed for the actions of a few when white males have committed most of the large active shooter incidents like Newtown and Charleston. Is it safer and healthier to be a person of color in 2015 than 1965? The evidence suggests otherwise. When a system routinely allows police officers to killed unarmed civilians, the problem is not just a “few bad cops.” Over the years I have known several police officers, and by and large they have entered their profession because they want to give back to their communities. They generally have been highly ethical and dedicated individuals. A system that turns such people into killers is not just about the people in the system, but the system itself. I can only hope that there are critically thinking people within law enforcement and the criminal justice system who are saying “What is wrong with this picture?” If not, there are lots of us not part of that system who are saying: the system must change. Yesterday, members of REALJustice, a local Philadelphia affiliate of the Black Lives Matter movement held a demonstration at Broad and Erie Streets to call attention to the Tamir Rice decision. At least one person was arrested. Neither the arrest nor the demonstration was reported by the major news outlets. However this movement is the Civil Rights Movement re-emerged. This movement of mostly young people, like its forbear the Student Nonviolent Coordinating Committee (SNCC) of the 1960’s is calling our attention to the ongoing institutional racism in our midst, and I for one support, applaud and join them in their efforts. This movement will not be stopped until real justice and real change is brought about. Institutional racism may be the norm, but it can no longer be unchallenged or allowed to continue to kill innocent people.